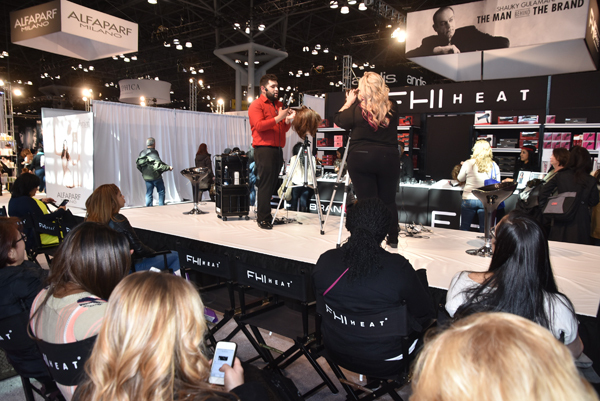 The International Beauty Show (IBS) is of course the largest beauty show of its kind to hit New York and as we know by now are the leaders in education and the showcasing of new products for the beauty and professional industry. They co-host the show with the Esthetics and Spa Conference, which in itself is a huge show to attend and from what we saw, more traffic this year then many years in the past. This year IBS celebrated their 99th year, which is quite an accomplishment and makes them the longest running trade show of its kind. Once again the show took place at the Jacob Javits Convention Center. The show ran three days, from Sunday March 6th – Tuesday the 8th. From their website we see their expectations of attendance hasn’t changed, it is still listed at 63,000 beauty professionals to pass through their doors to visit over 500 exhibitors. This year the attendees were shoulder to shoulder and each seat in the theaters and demonstrations were full. Standing Room Only. We were once again were fortunate to have Dana Lupton, Executive VP of the IBS Show with us to tell us a bit more about this years show. You will see her narrating our video as she did in our 2014 show coverage. Last year, a new rule was put into effect that prevented wheeled luggage bags on the floor because it was a hazard and people would trip over these carts. This year we did spot a number of wheeled bags but a noticeable improvement over past years. Rusk, one of our favorite companies, who we have featured in our show reviews and videos for years, didn’t bring much product to sell to the attendees this year. When we finally got to their booth most was gone and I was told they just didn’t bring the selection of products they had in past years. I was personally disappointed since I look forward to covering the show and buying my hair and beauty products at Rusk each year. I think the bulk of the shows attendees love to shop at the show. They can buy for their salons at the deep discounts offered at this show and sample new products as well. Hey, I am not in the beauty industry and this is one of the reasons I love to attend this show too. If you are a beauty professional you need to attend this show. It offers so much information from all the exhibiting companies that had live demonstrations on the latest hair cutting techniques to just about every other topic you can imagine. You can spend a full day, watching these demos, a day walking the floor to see and hear about the latest products and your final day stocking up on all the merchandise being sold at wholesale or in many cases below wholesale prices. This show offers the beauty professional an opportunity to try the products in their shops before placing large orders. Today we live in a world of the internet and no longer have the ability to feel, touch and use products we want to buy. This is the reason these shows are so important. We noted that many new companies have come to the show to introduce their products. One such company was Magic Sleek a New Jersey based company that was showcasing their hair straightening process and products. I asked their owner what are the three most important things about your products, his answer was it was all natural ingredients, no harsh chemicals and it offers the user long-lasting, adjustable results. Almost every manufacturer now boasts these same three features when describing their products. This seems to be the direction for this industry…stay away from formaldehyde and other harsh chemicals and go natural. Amy, our correspondent had a lot of fun trying on some wild and crazy colorful wigs at Manic Panic as you will see in our video. Thanks to Snooky Bellomo owner, visit their website to see their complete line. This is an evolving industry with the larger companies coming out with new products each year, it is difficult to keep abreast of all the new product. Each year we see new young and innovative companies joining the industry. Some have not gotten around to even putting up their websites an important step before becoming an exhibitor at this show. I am sure some are working from small facilities maybe in some cases even producing their products by hand. Many of the giant manufacturers started just this way, with an idea and a dream of making it big in this multi-billion dollar industry. For us it is difficult covering this show. Unlike true trade shows where we are able to set up appointments to interview the companies and talk about their products, it was impossible to do so here. We had to simply walk the floor of the show, photo equipment in hand and try to discover on our own which companies we should stop and talk to. The IBS website didn’t seem to have much contact information on the exhibitors and in many cases the links to their websites wasn’t working. We usually like to start at the IBS Show first and then over to the International Esthetics, Cosmetics and Spa Show. Since the floor of the IBS Show was a challenge to navigate we tried the IECSC show earlier in the day and discovered Cosmedix one of the leaders in their field. From their website: CosMedix’s continued innovation and groundbreaking success comes from focused attention to our four pillars: smarter exfoliation, better botanical ingredients, skin matrix support and chiral correction for superior product performance. They seek the best plant-derived ingredients and pure essential oils for their products. You can see a short demonstration of their exfoliation treatment in our video. You can find out more about their science and products on their website. We love to cover shows and interview their show management as we did at this show. Dana Lupton shared some of her thoughts and insights on the show and the beauty industry and explained why this show has continued for 99 years. 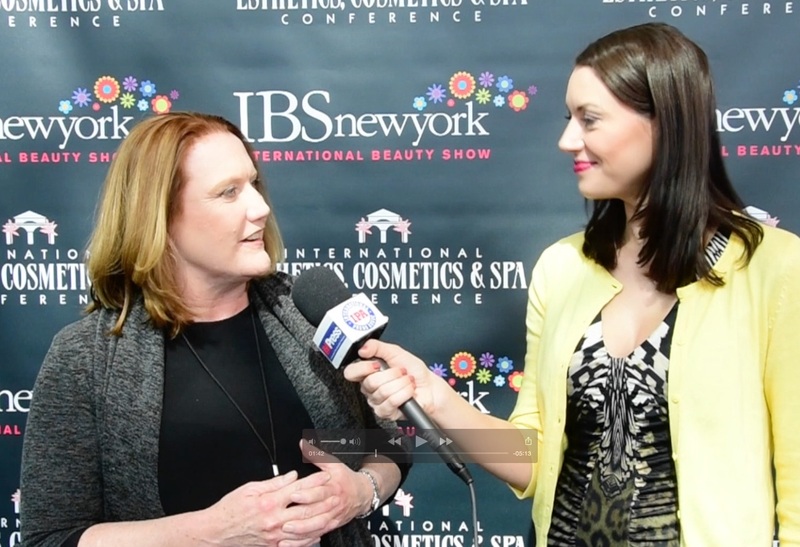 IBS continues to be the ultimate show for beauty professionals and offers large and small vendors an opportunity to showcase and sell their products to the many thousands of attendees. We value our relationship with the show and will continue to cover it each year, while attempting to highlight some of the best of show in our review, videos and photos. 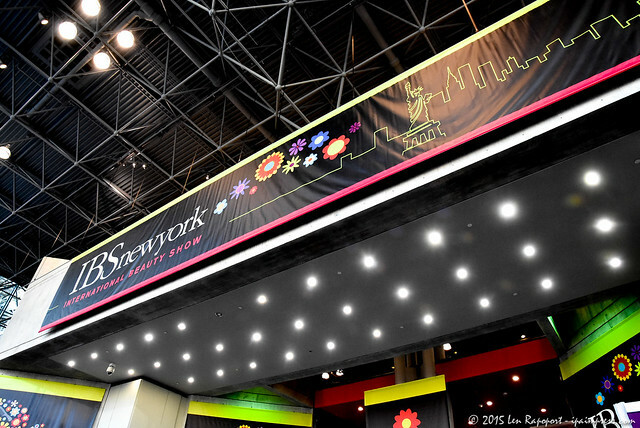 See you next year for the 100th Anniversary of the IBS Show New York.